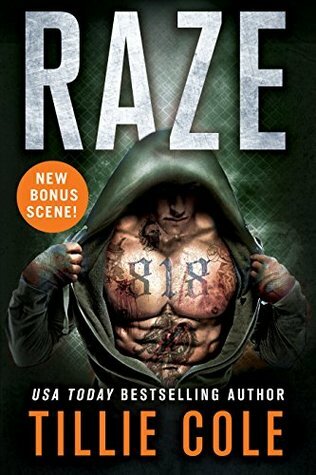 I picked RAZE by Tillie Cole to be today's flash back Friday since it was just this week announced that instead of RAZE being a standalone it would become the first book in a new series, Scarred Souls. Congratulations to Tillie Cole and thank you to St. Martin's Press for picking up this amazing book and seeing that there is an entire world for us to discover and love through Tillie! Conditioned in captivity to maim, to kill and to slaughter, prisoner 818 becomes an unrivaled and unstoppable fighter in the ring. Violence is all he knows. After years of incarceration in an underground hell, only one thought occupies his mind: revenge... bloody, slow and violent revenge. Revenge on the man who wronged him. Kisa Volkova is the only daughter of Kirill 'The Silencer' Volkov, head of the infamous 'Red' bosses of New York's Russian Bratva. Her life is protected. In reality, it's a virtual prison. Her father's savage treatment of his rivals and his lucrative and coveted underground gambling ring-The Dungeon-ensures too many enemies lurk at their door. She dreams to be set free. Kisa has known only cruelty and loss in her short life. While working for her church-the only reprieve in her constant surveillance-Kisa stumbles across a tattooed, scarred, but stunningly beautiful homeless man on the streets. Something about him stirs feelings deep within her; familiar yet impossibly forbidden desires. He doesn't talk. Doesn't communicate with anyone. He's a man beyond saving. But Kisa becomes obsessed with him. Yearns for him. Craves his touch. Needs to possess this mysterious man... ... this man they call Raze. There was just something that pulled me into this story. Until RAZE I would have told you that I was not a fan at all of Dark Romances. I've always been a reader who likes a light, fun (although no less meaningful) romance. A romance that would take me away to a happy place where even when there are challenges you know that everything is going to be okay in the end. You don't hold your breath while reading, you don't cry because someone has been so scarred that you can't help but feel a deep biting sorrow for them and all they have lost, you don't rage against the injustice and cruelty of it all. You get mildly upset because your new book boyfriend or girlfriend got the shaft or hurt feelings, but you know in the end they are going to all be okay. That is not this book and I not only enjoyed it, I feel hard for this dirty, gritty, brutal world and hero/heroine. He has one chance to discover the meaning of these 7 words that rattle in his head, this battle cry that has kept him going for years while he has been brutally beaten, drugged, help captive, while he has killed only so he could survive, so he could escape. 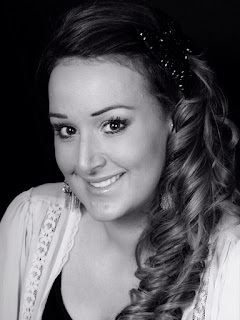 Kisa Volkova is the daughter to to the Boss of the NYC Russain Bratva. She runs her fathers underground fight club, is engaged to her father's protégé, but she's only going through the motions of everyday. She hasn't felt alive since the day the boy she loved was killed in an automobile accident. Her memories of him all she has left of the soul searing love they shared even as children and young teens. They were made for one another, meant to be together, meant to rule this underground world side by side, instead she's left in the hands of a vicious man who only cares about power and money. Raze and Kisa's lives are brutal. I know I keep using that word over and over, but there is not better word to describe what they go through. They are both abused and mistreated. It is incredibly hard to 'watch', it is at times down right viscous and more than just heart breaking, it destroys you a little to see what these two go through. Even with all the pain, hurt, and suffering they go through watching them push forward, not give in, to some how retain the core of who they are is beautiful to see and being there as their love story unfolds in the midst of it all takes all the little pieces of your soul that get destroyed and starts to put them all back together. This book is violent, dark, devastating, and cruel, but it is also one of the best love stories I have read in a long time. If you are not comfortable with violence, physical, mental, and sexual this may not be the book for you, especially if any of those things could be a trigger for you. Remember at the start of this review I said before this book I had never really been interested in Dark Contemporaries, heck Dark any kind of book, but this book has so much more to give than violence and ugliness. This is a book about never giving up even when you don't think you have one more drop of blood to give. To never let the world break you and take away the person that your soul says you are. To cherish those you love, to fight for them, to believe in them, to believe that good can and will prevail against the evil of the world if we are just strong enough to stand against it. This is a book of extremes, but it is a book with a very basic message. The message that love can heal a broken soul. That if you are willing to fight (literally in the case of this book) for what you want you can have it. There is so much about this book that makes it rather difficult to talk about. One, I don't want to go to deep into the story because I can't without giving away major plot points, 2. this book is intense and putting into words how it makes you feel, how you can't stop thinking about it when you put it down isn't easy. This book leaves you both satisfied and wanting more (and thankfully now we will get that), it leaves you sitting in your chair, your book in your lap, your mouth slightly open, your eyes staring out into space, and your mind running at high speed as you try and process what you just read. You will likely put it down thinking one thing about it and then come back to it later and have an entire different feeling for it. It's going to chew you up and spit you out then gather you back up, piece meal you back together, stitching all your pieces back together (hopefully in the right 'order') and making you smile...when a book can do all of that to you you know its worth reading, maybe even multiple times.